THEIR MOST MELODIC WARM AND ACCOMPLISHED ALBUM TO DATE. MOST HIGHLY RECOMMENDED ***** "Dreaming the same dreams, not knowing of each other. Invoking old times at new places, side by side, not knowing of each other. Longing for yearning; light of dawn and midday sun. A world which lets itself be sensed, not known; the first light of your rosyfingered youth; birches and concrete, touch and go. 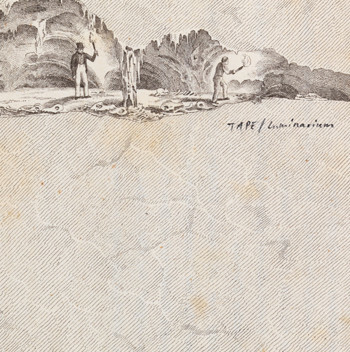 The new album by Swedish group Tape is a luminarium of sound where past and present merge at the speed of light.." (Häpna Poetry) Tape is the trio of Andreas Berthling, Johan Berthling and Tomas Hallonsten from Stockholm, Sweden. This is their fourth album. In our books this is absolutely essential music from one of the brightest glowing beacons on the northern wastes.